David Rosetzky lives and works in Melbourne. He graduated Bachelor of Fine Arts from the Victorian College of the Arts in 1992 and is currently a lecturer in Photography at the VCA. 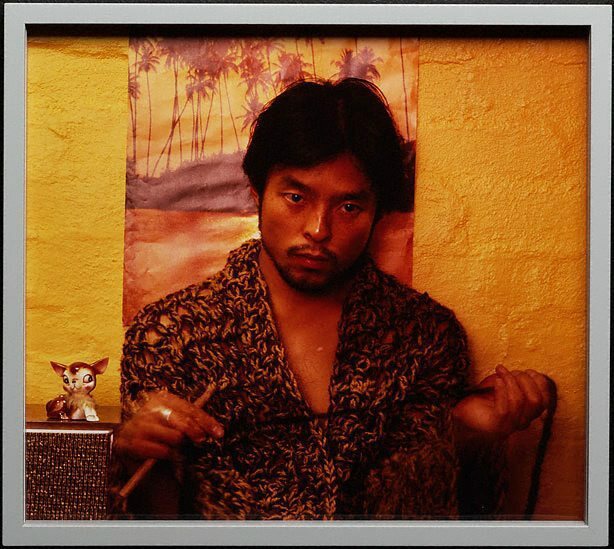 He was founding director of the Melbourne artist-run gallery 1st Floor Artists' and Writers' Space (1994-2002) and he has exhibited extensively in Australia and internationally since 1995. Recent exhibitions include 'Bittersweet', Art Gallery of New South Wales and 'Screen Life', Reina Sofia Museum , Madrid (both 2003); 'Happiness', Adam Art Gallery, Wellington, and 'hybrid<life>forms', Netherlands Media Art Institute, Amsterdam (both 2002). He is also included in 'Face Up: contemporary art from Australia' at the Hamburger Bahnhof, Berlin 2003. 'Untouchable' is the title a series of 6 production stills which exist independently and a 3-screen video installation which Rosetzky showed at the Australian Centre of Contemporary Art, Melbourne in the exhibition 'New03' earlier this year. 'Untouchable #3' is one from the series of production stills. Rosetzky has been working with both photography and video for some years. The various parts of the artist's practice nonetheless always relate in terms of underlying concerns. These are to do with the boundaries between private and public, the common yet disjunctive nature of human experience. Like many artists of his generation, Rosetzky is heavily influenced by the cultural milieu that he has grown up within - television, advertising, music, lifestyle magazines. The sensation of being on parade is both a physical and external aspect of modern life and increasingly associated with previously private thoughts and feelings. Rosetzky, however, deals with the impossibility of direct communication and understanding despite the mediatised empathetic veneer. FACE OFF, Visual Arts Guide , Berlin, 2003.